Combining contemporary arts and sensorial methods, Riga-Gauja has developed innovative foodie concepts that are surprising and delighting both locals and visitors. Riga-Gauja was awarded European Region of Gastronomy in 2017, together with East Lombardy and Aarhus-Central Denmark Region and is now hosting a year long calendar of events, not only to explore the relationship between gastronomy, culture, arts and tourism; but also, to put the spotlight on local dishes, gastronomic traditions and preservation of foods diversity. Riga-Gauja region, includes the municipalities of Riga, Sigulda, Cesis and Valmiera. As the year unfolds, the region is celebrating its food and cultural distinctiveness in creative and compelling ways. A recent video, just released, captures the exciting and artistically creative concepts unfolding in Riga. The program of events is involving the top chefs from the finest restaurants, farmsteads, proprietors and persons affiliated with the arts and entertainment. New happenings will be held, new tourist routes will appear, and the subject of food placed front and center at well-known events. All these actions aim to develop gastronomic tourism in the region; unite entrepreneurs and other industry player in the creation of sustainable new models for regional cooperation in the joint development of gastronomy; maintain the region´s gastronomy heritage and Latvia traditions while developing innovation throughout the gastronomic chain and ensure the sharing of knowledge at the regional, national and international levels. 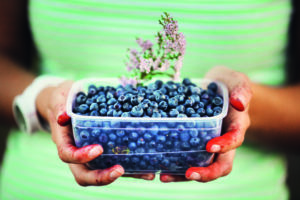 The European Region of Gastronomy Platform and Award aim to contribute to better quality of life in European regions, by highlighting distinctive food cultures, educating for better health and sustainability, and stimulating gastronomic innovation. Candidate regions are invited to join a knowledge-exchange platform of European regions in order to further cross-border collaborations and develop shared initiatives. IGCAT (International Institute of Gastronomy, Culture, Arts, and Tourism) organises the award with the support of European institutions.